← The Auto Dealer’s Coverage Form (ADCF) Policy: No Coverage for Violations of Prior Damage Disclosure Statutes. By Greg Johnson. With all the discussion about the Consumer Financial Protection Bureau advocating the end of the so-called dealer reserve, I decided to post a series of articles outlining the auto dealer-arranged financing process supplemented by some of the cases I have handled on behalf of auto dealerships. Congress created the Consumer Financial Protection Bureau (“CFPB”) as part of the Dodd-Frank financial reform act. An original proposal called for the CFPB to directly regulate automobile dealers. The National Automobile Dealers Association (“NADA”) fought that on the grounds that automobile dealers are not lenders. The NADA won an exemption. However, the victory has proved somewhat hollow. The CFPB’s regulation of auto lenders strongly affects auto dealers and the Bureau wants to eliminate the dealer reserve, where auto retailers typically add a percentage point or two to an auto lender’s wholesale interest rate as compensation for facilitating the indirect financing. The CFPB contends the present dealer reserve system has led to unintended lending discrimination and wants a flat fee system. Scott v. Forest Lake Chrysler-Plymouth-Dodge, 611 N.W.2d 346 (Minn. 2000). Liabo v. Wayzata Nissan, LLC, 707 N.W.2d 715 (Minn. Ct. App. 2006), review denied (Minn. March 26, 2006). Madrigal v. Kline Oldsmobile, Inc., 423 F.3d 819 (8th Cir. 2005). Kinzel v. Southview Chevrolet Co., 892 F. Supp. 1211 (D. Minn. 1995). Vang v. Morrie’s Minnetonka Ford, 2001 WL 1589614 (D. Minn. Dec. 11, 2001). Peter v. Village Imports Co., 2001 WL 1640130 (D. Minn. Oct. 9, 2001). Stevens v. Brookdale Dodge, Inc., 2002 WL 31941158 (D. Minn. Dec. 27, 2002). Auto dealers often arrange financing for a consumer’s purchase of an automobile. The Minnesota Supreme Court’s decision in Scott v. Forest Lake Chrysler-Plymouth-Dodge, 611 N.W.2d 346 (Minn. 2000) — the first case in the country to discuss the “spot delivery” transaction — described the dealer-arranged financing process in detail and also identified the three key documents involved in the process: the vehicle purchase contract, a retail installment sales contract (“RISC”) and a condition delivery agreement. The vehicle purchase contract identifies the agreed upon terms for the purchase of the vehicle including the price of the automobile, fees associated with the purchase, trade-in value and down payment, and the balance due (or to be financed). Scott, 611 N.W.2d 346, 352 (Minn. 2000) (a “vehicle purchase contract sets forth the terms of the actual purchase, including trade-in allowances and identifies the amount to be financed, if any”). If the consumer wants the dealership to arrange financing for the vehicle purchase (as opposed to paying cash or obtaining financing through his or her own lending institution), the dealership will prepare a RISC (sometimes called a “credit sale contract”) which outlines the credit terms. See, Scott, 611 N.W.2d at 352 (Minn. 2000) (a “retail installment contract sets forth the details of how the financing is to work — the interest rate, the finance charge, amount financed, total payment and total sales price”). The majority of auto dealers do not extend credit directly to consumers in the sense of holding the RISC and charging and accepting the payments outlined in the RISC. See, Madrigal v. Kline Oldsmobile, Inc., 423 F.3d 819 (8th Cir. 2005) (detailing process). Rather, the dealership will attempt to find a sales finance company, bank or other lender who is willing to extend credit to the consumer and assign the RISC to the lender. See, Scott, 611 N.W.2d at 352 (Minn. 2000) (a “retail installment contract … becomes effective only if financing is arranged”). This is where the “dealer reserve” comes into play. Lenders that agree to extend credit to a consumer will offer to buy the RISC from the dealership at a wholesale interest rate called the “buy rate.” The dealership will then add an additional percentage of interest — dealer reserve — onto the buy rate as compensation for arranging the deal. The dealer reserve is then factored into the consumer’s annual percentage rate. Although the dealer reserve is typically authorized by state law and a consumer cannot get financing on his or her own for the lender’s wholesale buy-rate, the CFPB contends the present add-on system has led to unintended lending discrimination and wants a flat fee system. In some jurisdictions, including Minnesota, the consumer may also execute a conditional delivery agreement (sometimes referred to as a “spot delivery” agreement) – an agreement which allows the consumer to take immediate (“on the spot”) delivery of the vehicle pending financing approval by a lending institution. See, Scott, 611 N.W.2d at 352 (Minn. 2000) (a “conditional delivery agreement permits the buyer to take immediate possession of the vehicle, but the buyer is obligated to return it if financing is not approved”); Madrigal v. Kline Oldsmobile, Inc., 423 F.3d 819 (8th Cir. 2005) (detailing process) (“Conditional Delivery Agreement Addendum to Installment Contract” expressly conditioned the dealership’s sale of the vehicle upon Bank One or another lender accepting the assignment). The federal Truth in Lending Act (“TILA”), 15 U.S.C. § 1601 et seq., has been in effect since the late 1960’s. In contrast to state motor vehicle retail installment sales acts which also regulate consumer credit, the TILA and Regulation Z, its implementing regulation, do not contain provisions proscribing maximum finance charges, late payment charge limits, etc.). Rather, the TILA is primarily a disclosure law. It “compels … disclosure of certain information in a ‘consumer credit transaction.’” Kinzel v. Southview Chevrolet Co., 892 F. Supp. 1211, 1215 (D. Minn. 1995). It “was enacted to ‘assure a meaningful disclosure of credit terms so that the consumer will be able to compare more readily the various credit terms available … and avoid the uninformed use of credit.’” Kinzel, 892 F. Supp. at 1215. Although the majority of automobile dealers do not extend credit directly to their customers to finance the purchase of a vehicle, the TILA and Regulation Z define a dealership as the “creditor” in a dealer-arranged financing transaction. Kinzel, 892 F. Supp. at 1215. As the “creditor”, the auto dealership must provide disclosure of “a financing transaction’s annual percentage rate, finance charge, amount financed, total payments, total sales price, and the number and amount of payments.” Id. The distinction between a consumer’s legal obligation to purchase a vehicle and a legal obligation to purchase a vehicle on credit is often confused. If the consumer has obligated himself to purchase a vehicle, but has not obligated himself to buy it on credit, TIL disclosures are not required (and the dealership may not be sued for not providing them). See, Liabo, 707 N.W.2d 715 (consummation for purposes of TILA did not occur by reason of consumer’s payment of non-refundable deposit to buy an automobile because agreement did not obligate consumer to purchase the automobile on credit); Raceway Ford Cases, 229 Cal. App. 4th 1119, 177 Cal. Rptr. 3d 616 (2014) (rejecting dealership’s argument that consummation occurred simply because the consumer executed a vehicle purchase contract and took delivery of the vehicle – this argument, according to the court, “inappropriately muddles together consummation of the sale with consummation of the credit transaction”). The determination of when a consumer “becomes contractually obligated on a credit transaction” – and, thus, is entitled to TIL disclosures — is determined by state law. The TILA and Regulation Z do not make this determination. Typically, “consummation” occurs at the moment a consumer executes a RISC for it is at that moment the consumer becomes legally obligated to credit terms. See, Liabo, 707 N.W.2d at 723 (“TILA disclosures would only have been necessary if appellant had continued with the transaction and executed the Retail Installment Contract. She chose not to do so, therefore, the disclosures were not necessary”). The auto dealership must provide TIL disclosures before the consumer has executed a RISC. Although the TILA allows a creditor (which includes an auto dealership) to furnish a separate TIL disclosure statement, virtually all RISC forms — which are written by lending institutions or third-party companies — contain the TIL disclosures. Thus, a dealership will comply with the TILA by presenting the RISC to the consumer for review and giving her a copy of the signed contract. See, Vang v. Morrie’s Minnetonka Ford, 2001 WL 1589614, at *3 (D. Minn. Dec. 11, 2001) (“Mr. Vang was given the opportunity to review the contract, and he then made the voluntary decision to execute it immediately before taking his copy with him”); Peter v. Village Imports Co., 2001 WL 1640130, at *3 (D. Minn. Oct. 9, 2001) (“[t]he court finds that Village Imports satisfied TILA when it gave Peter the unsigned contract containing the TILA disclosures and Peter had the opportunity to defer signing it if he found the terms unacceptable”). The TILA provides a cause of action by borrowers against creditors who fail to provide the TIL disclosures required by its provisions. 15 U.S.C. § 1640). Subsection (e) confers Federal and State Court jurisdiction over such claims and, in the same provision, imposes a one-year time limitation for bringing actions. See, Evans v. Rudy-Luther Toyota, Inc., 39 F. Supp. 2d 1177, 1181 (D. Minn. 1999) (dismissing TILA lawsuit which was not commenced within one year of date of alleged violation). As a “creditor,” auto dealers must generally meet a standard of strict compliance with the TILA’s disclosure requirements. While some courts have held that borrowers should not be permitted to use the TILA as an instrument of harassment or oppression against the lending industry, and that strict compliance does not necessarily mean “punctilious” compliance if substantial and clear disclosure of the fact or information demanded by the applicable statute or regulation occurs, (see Hawaii Community Federal Credit Union v. Keka, 11 P.3d 1, 13 (Ha, 2000); Smith v. Chapman, 614 F.2d 968, 972 (5th Cir. 1980)), most courts adhere to the rule that technical violations do not excuse liability and the consumer need not have been deceived for TILA liability to attach. Under this majority view, once a court finds a violation, it has no discretion with respect to imposition of liability. Subject to certain stated exceptions, where the TILA or Regulation Z have been violated, the creditor (auto dealer) must pay a statutory penalty, plus costs and reasonable attorney’s fees. See, Stevens v. Brookdale Dodge, Inc., 2002 WL 31941158, at *1 (D. Minn. Dec. 27, 2002) (dismissing TILA claim alleging dealership violated timing requirements of the TILA and Regulation Z because statutory damages were not available for alleged violation and plaintiff could not prove any actual damages); Peter v. Village Imports Co., 2001 WL 1640130, at *3 (D. Minn. Oct. 9, 2001) (same). 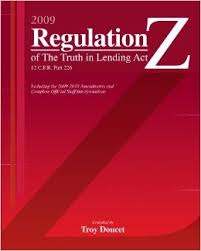 The TILA and Regulation Z are complex and the law is constantly changing. Contimortgage Corp. v. Delawder, 2001 WL 884085 (Ohio Ct. App. July 30, 2001) (“the administrative requirements of TILA have grown more complex and burdensome for the financial industry and … technical mistakes have become increasingly likely regardless of how conscientiously institutions may attempt to comply with the act”). To further complicate matters, prior to the passage of the federal TILA in 1968, many states adopted retail installment sales legislation which also require dealerships to disclose credit cost information to consumers (and serve to regulate interest charges). For example, the Minnesota Motor Vehicle Retail Installment Sales Automobile Act (“MMVRISA”), Minnesota Statutes § 53C.08 et seq., (formerly Minn. Stat. § 168.71), became effective in 1957. The MVRISA sets forth a statutory scheme to regulate the retail sale and financing of motor vehicles. It was adopted, in part, to address “the fact that several states had enacted some form of regulation aimed particularly at automobile installment sales because the bona fide cost of installment credit had actually exceeded the rates generally allowed under usury statutes.” Scott v. Forest Lake Chrysler-Plymouth-Dodge, 611 N.W.2d 346, 348 (Minn. 2000) (citing Van Asperen v. Darling Olds, Inc., 254 Minn. 62, 70–71, 93 N.W.2d 690, 696–97 (1958). State retail installment sales acts may impose disclosure requirements that are more exacting than those proscribed by the federal TILA or obligations in addition to those required by TILA. See, Sharlow v. Wally McCarthy Pontiac-GMC Trucks-Hyundai, Inc., 221 F.3d 1343 (8th Cir. 2000) (addressing, and rejecting, claim that dealership violated “agreements of the parties” provision of state act). On the other, many state acts have been amended to state that compliance with the federal TILA will satisfy the disclosure requirements of the state act. See, Kinzel v. Southview Chevrolet Co., 892 F. Supp. 1211 (D. Minn. 1995) (court recognized that compliance with the federal TILA constitutes compliance with state act), For example, the MMVRISA was amended in 1987 to provide that “[i]n lieu of the above [disclosures], the retail seller may give the retail buyer disclosures which satisfy the requirements of the federal Truth–In–Lending Act in effect as of the time of the contract, notwithstanding whether or not that act applies to the transaction.” Minn. Stat. § 53C.08, subd. 2(7). The foregoing is a summary overview of the auto dealer-arranged financing process. Future articles will address the issues more specifically. 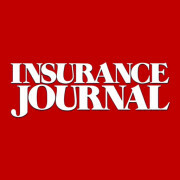 This entry was posted in Auto Dealer, Dealer Reserve, Indirect Financing, Regulatory Compliance, TIL Disclosures, Truth in Lending Act and tagged Auto Dealers Operations, Auto Dealerships, Regulatory Compliance. Bookmark the permalink. I would like to know if I can reference this on my site? I cannot locate your site.